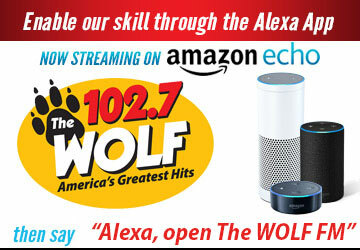 The Wolf Cruiser of the Month - The Wolf 102.7 | America's Greatest Hits! At 102.7 The Wolf, we obviously love Classic Hits...but we also love Classic Cars! If you do too, this is your chance to view some of the best looking rides in Sonoma County. Our listeners have submitted a favorite photo of their car or truck and you can cast your vote for the one you like the best. Click "View All" to see every entry. Each month, the vehicle with the most votes earns the title of The Wolf Cruiser of the Month! *Limit of one vote per day.